According to Equipment Journal, AIM Recycling’s footprint spans five continents with 2,500 employees at its 70 locations around the world. 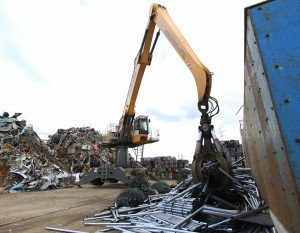 AIM Recycling has diversified its business model to include Eco-Center, which specializes in the recycling of construction and demolition waste, and AIM Global Solder Solutions, the second largest tin solder company in the world. As well, the company operates Kenny U-Pull, an auto wrecking company with more than 14 locations in North America and an inventory of more than 20,000 cars. 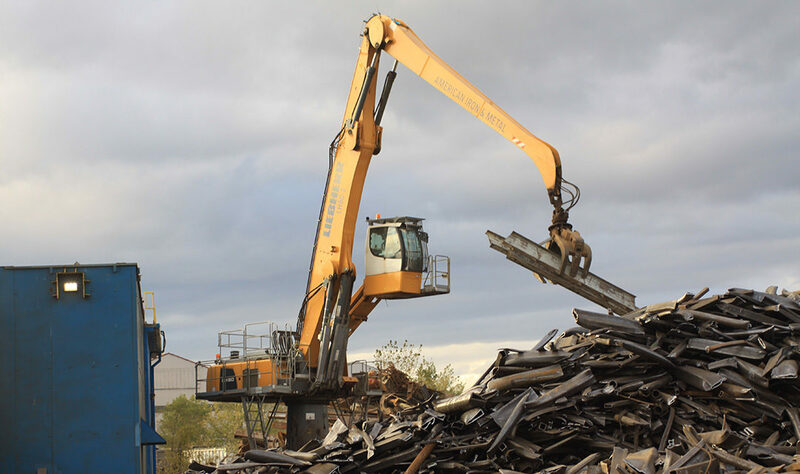 At the Hamilton recycling facility, AIM is using the Liebherr LH 80 to load its baler and shredder. The LH80 is equipped with a 313 hp engine, 22 meter-reach and Liebherr’s Energy Recovery System, which provides a boost to performance as well as a reduction in fuel economy.